RIPPEDCLUB!!! Are you guys READY??? I think Christmas came early for many of this year when we ordered P90X3 the day it released. There were a few frustrating moments with orders not going through due to a high volume of people all trying to order at the same time, but I think thats all in the past and everyone got their copy of X3! …so what is the X3 BATTLE OF THE RIPPED? We have officially challenged Wayne (My Coach) and TeamRIPPED to a battle of results! 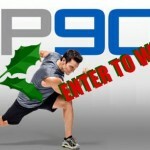 We are going to see which team can get the BEST results in just 90 days of P90X3! Wayne has held challenges in the past with other teams, but he has never messed with anything like the RIPPEDCLUB CREW! I love a good competition and I have no doubt that this challenge is going to bring out the best in both teams. I just feel bad for TeamRIPPED knowing that they’re going to put in all that hard work and STILL have to accept that RIPPEDCLUB just gets it done BETTER! You with me on this!!?? This challenge is going to be like nothing we have ever done! If you want the infomercial results we are going to get, you have to count the costs of being a part of this challenge…NO EXCUSES! If you aren’t up to, this challenge is not for you. Period! You have to be using P90X3. That’s the whole point of a P90X3 Challenge… We will have another 30 day BLITZ CHALLENGE that is open to all workout programs starting in January 2014. You need to be 100% committed. I dont want JUST your word for it…I want your whole heart in this challenge! No skipping workouts, no cheating on your nutrition…You gotta be ALL IN! You want to win this thing dont you? This challenge is FOR YOU, and maybe in the past you have been in one of our challenges and fallin off the wagon…This challenge is a chance to show not only yourself – what you are made of, but its a chance to show TeamRIPPED what RIPPEDCLUB is made of!! Join our X3 BATTLE OF THE RIPPED CHALLENGE facebook group – Just like all of our challenges, this takes place online in a closed group that requires approval to join. Any thing you post in the group will not be visible to anyone outside the group. So click the link, get on FB and request to join! Daily Participation. I will be providing a “challenge of the day” that every member of the team must complete. These challenges will motivate, teach, encourage, and hold you accountable! In addition to completing the daily challenge, I encourage you to be active in the group…post pics of your workout area, your heart rate monitor…post how many reps you did on a certain exercise and challenge others in the group to beat your record…post pics of your meals, your snacks, what you are drinking…Reply to other challengers, share your struggles, share your failures, encourage others, share something that motivated you! This is going to be high accountability and high expectations! You MUST be a member of RIPPEDCLUB or a member of a RIPPEDCLUB Coach’s team. If you are not a member of RIPPEDCLUB yet and want to be a part of this challenge, you can Join RIPPEDCLUB Here. If you are wanting to join, but have another coach – you need to email me with who your coach is…This is for RIPPEDCLUB family only. Start Date – The official RIPPEDCLUB start date for our challenge is December 30th, 2013. I know some of you are waiting to receive your X3 packages or have other things going on around the 30th and you want to start on the 6th of January. This is acceptable as well and I can still add you to the group. Results – These team results will be judged so I trust that everyone from RIPPEDCLUB will present their results with the highest amount of integrity (RIPPEDCLUB does NOT cheat and I know TeamRIPPED doesnt either!) Your results must be from a 90 day period of using P90X3 so you will want to take pics on Day-1, 30, 60, and 90. Make sure you take your measurements too! Directions on documenting your results can be found in the P90X3 Fitness Guide. I know a lot of us are sampling the workouts early, but your Day-1 pics need to be taken on your start date…whether that Dec. 30th or Jan. 6th. The Winner – Each coach (Coach Wayne and myself, Coach Todd) will create a 5 minute video of our team’s results to determine who gets the BATTLE OF THE RIPPED crown! 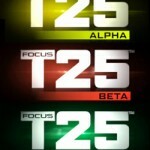 The Prize – The winners of this challenge will get eternal bragging rights as the most extreme team in Beachbody! 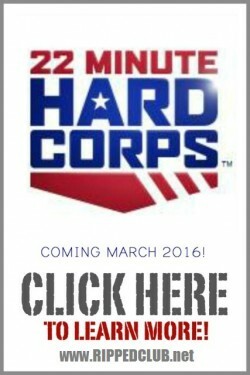 One of the best parts of these challenges is the recognition…not from just your own team, but from Beachbody as well. This X3 challenge is the perfect chance for you to make it into the P90X3 infomercial and show AMERICA what you and RIPPEDCLUB are capable of! 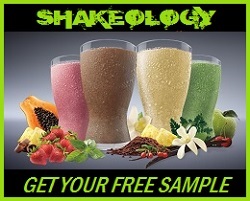 You also have a chance to win a crap ton of cash with the Beachbody Challenge! I won $1000, Sean Erikson won $500 from our team…its out there waiting for you – get after it! And Wayne has tossed in a little something to sweeten the deal for us…The losing Coach will have to publicly apologize for letting his team lose the challenge… Best get that video camera ready Wayne, lol. 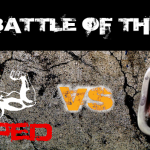 WILL YOU JOIN THE BATTLE OF THE RIPPED?? ?